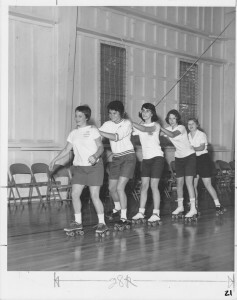 Did you know that roller skating in the gym was a camp activity for a long time? They didn’t use the roller skates we have now. They had skates that attached to the bottom of their shoes with straps. Apparently they were pretty tough to put on and adjust. Roller Skating can be a good work out. What a fun activity!